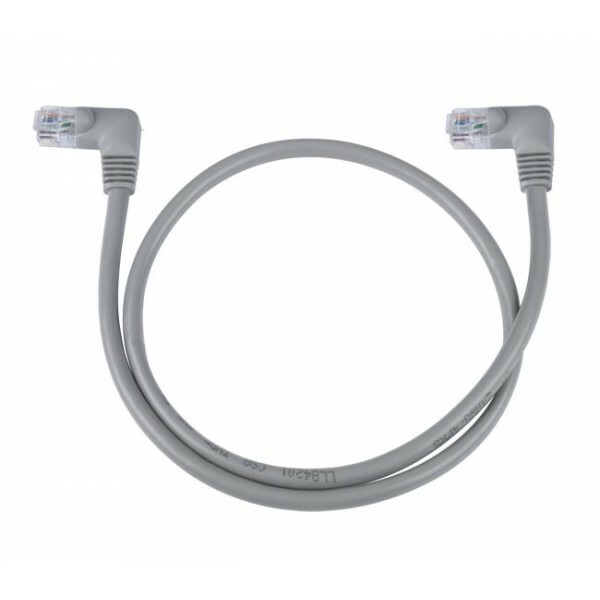 VPI's Left Angle to Left Angle CAT5e Patch Cords are assembled with T568B four pair stranded cable, and are ideal for confined spaces. 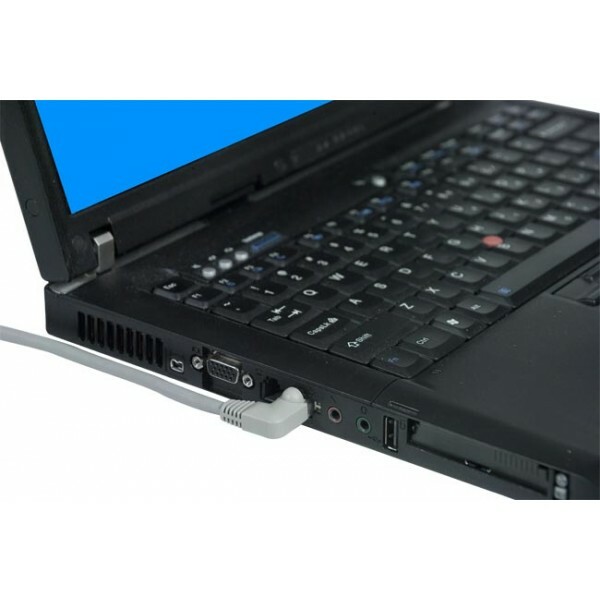 They feature a strain relief boot, preventing excessive bending while reducing stress on the cable. 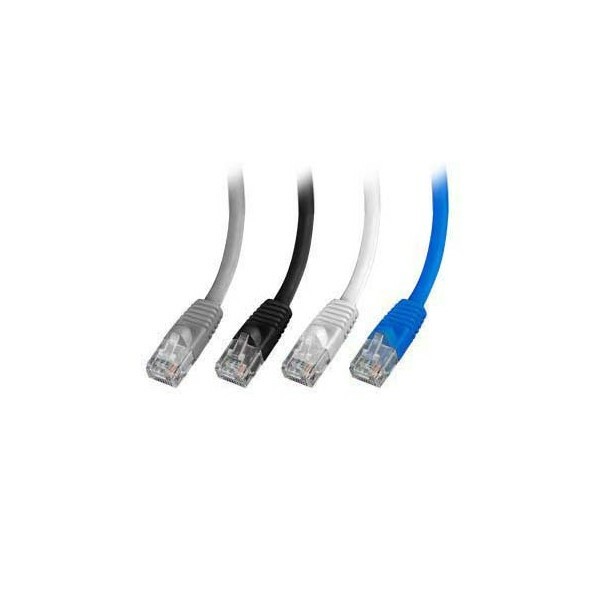 When the connector of this cable is plugged into an RJ45 jack with the plug tab on top, the cable extends to the left side. 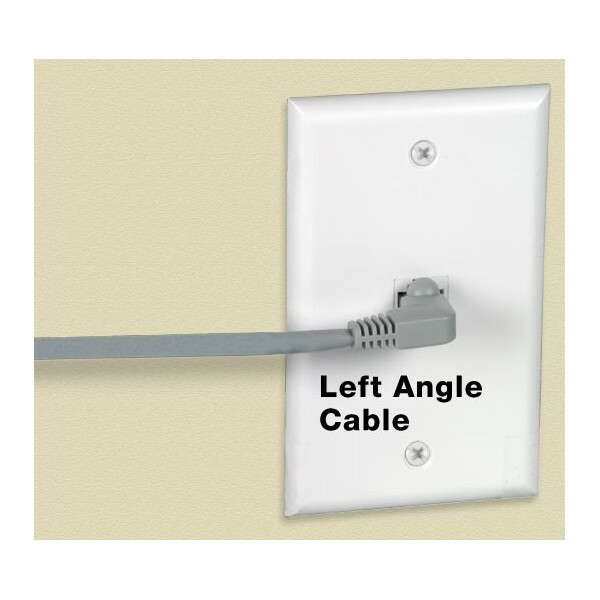 Left angle L plug configuration (side-angled) useful in tight fit situations.